Under the Mill menu, you can find Contour and Pocket operations. 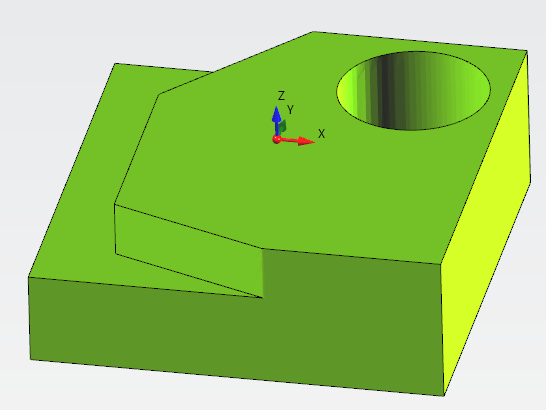 This 2 machining operations are identical except the fact , by default , contour will work the outer area of selected profiles, and pocket will work the inner area of selected profiles. Is possible switch the side of selected geometry. 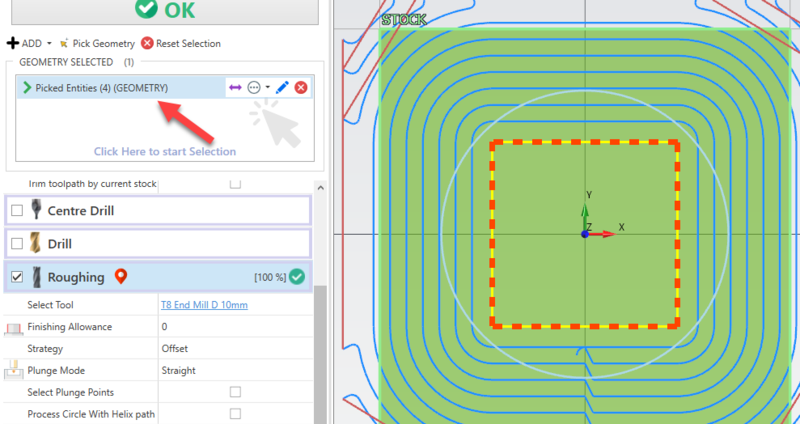 You can both click on the double sided arrow in geometry list box or click the yellow arrow in viewport . When you hover the yellow arrow with mouse cursor , the arrow will turn red. Click on it to change working side. The highlighted area in viewport , will be the area machined away by the operation. Contour and Pocket operations need a closed profile to work with. If you select an open profile instead, eCam will try to close it with the outer stock profile. Also in this case you can switch working side . By default these values are applied to all associated geometries. But if i set a value in WIDTH the working area is created by offseting the source profile , like this. This property is set just to the selected profile in geometry list box. You can insert negative values to the offset direction in opposite side. Or just invert direction with arrow. Overhange feature is useful to create the side slots with this tool. 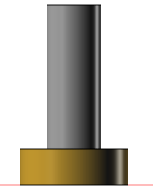 The bottom part of the slot is determined by the [Start Z] and [Depth] values. The Slot height is measured from the bottom part to Z+ direction. By default , the outer overhang area is defined by the stock outer contourn. 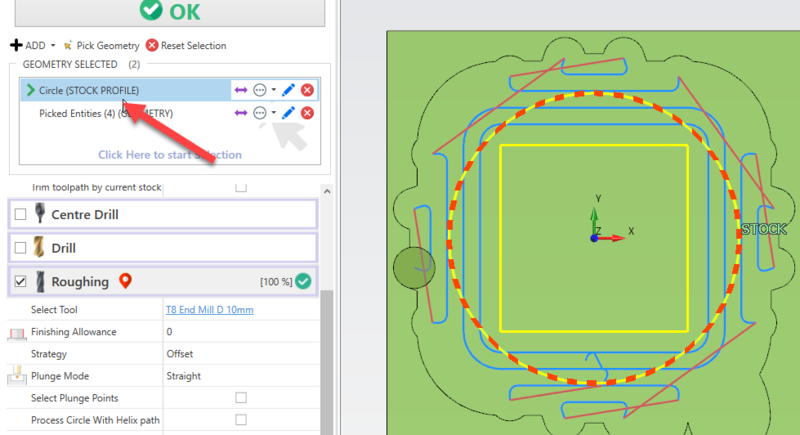 You can set the [WIDTH] property to edit overhang area. You can set a negative value to determinate if selected profile is the outer or the inner part of the area. When the [WIDTH] property is defined, the stock profile will be ignored. So be sure to verify with simulation that the tool plunge in a clear machined area and not into stock. 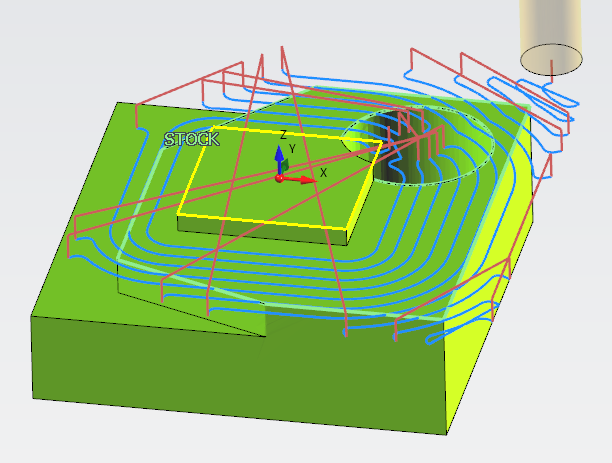 To force plunge point position for roughing operation, enable "Select Plunge Point" to pick to position with mouse. If plunge points are defined , the plunge mode will be disabled . Be sure the plunge point positions are in a stock free area. 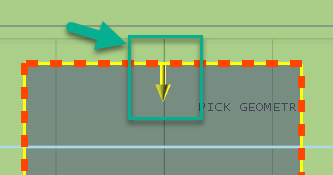 Use [Clear Points Selection] to remove all defined plunge points. Is also possible define finishing start points. Use [Define starting points] under finishing operation. By default, after every pass in Z direction, the tool move to [Safe Z] level . The reason is to keep the maximum safety in toolpath creation. But if you see there is no issue with stock collision, you can enable [Keep Tool Down] . In this way the tool goes directly to next z level , without moving to [Safe Z] after every pass. You have 2 different [Keep Tool Down] options, one under roughing operation and one under finishing operation. So you can have active in one operation and disabled in the other. Is possible apply a negative or positive offset value to profile. With this you can remove more or less material from stock with finishing tool. In this image, only a square is defined in geometry selection box. The stock profile is defined by the stock setup. The toolpath is calculated in order to remove all the material from stock until it reach the defined profile. Setting it as [Stock Profile] from the dropdown menu. 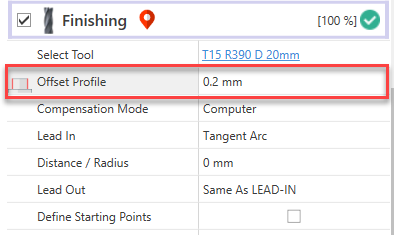 With the new stock profile defined , the toolpath in calculated in order to remove just the material from custom stock profile. Let's say this is your current stock model. Then you need to machine a squared shape . By default this is the generated toolpath. You cleary notice the tool is working on already machined area. The toolpath is not optimal. 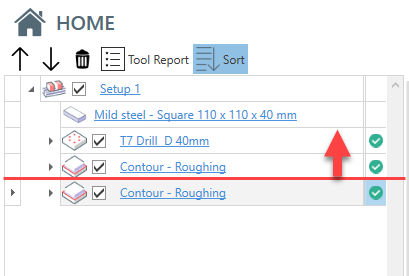 You can enable [Trim toolpath by current stock] . 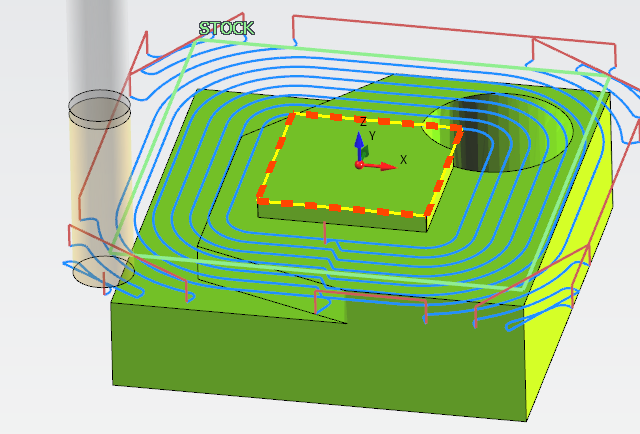 The toolpath engine will calculate the stock model resulting from previous operations, and will use that model to skip the already machined area. Looking at the HOME treeview , the previous operations are those that come before the current operation. This will be the optimized toolpath. Now the tool works only where there are material to remove. The [Trim By Current Stock] feature is computationally expensive. Where applicable, use the override geometries method, which is more light to process.